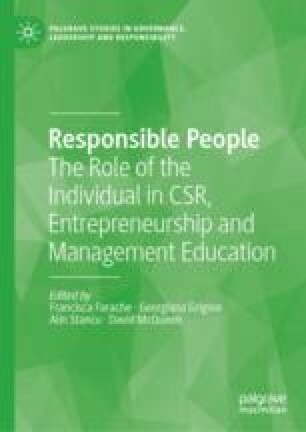 Social entrepreneurship is a pathway for individuals and organizations to take responsibility for social and environmental outcomes. It allows the handling of pressing global challenges. Understanding factors of success and failure can help social entrepreneurs mitigate risk when designing and implementing their ventures. While these factors have been characterized in the USA, U.K., Europe, and the global south, we have yet to understand them in Russia, where social entrepreneurship is still an emerging trend. The aim of our research is to explore factors influencing social entrepreneurship success and failure for nascent and mature entrepreneurs in the Omsk region of Russia. This is a qualitative research utilizing a phenomenological approach. To conduct our study, we used open-ended survey questions concerning factors of success and failure. Our final data contains answers from 58 respondents from social entrepreneurs of the Omsk region. Dees, J. Gregory. 1998. The Meaning of Social Entrepreneurship. Original draft, Revised 2001. Accessed August 8, 2017. https://entrepreneurship.duke.edu/news-item/the-meaning-of-social-entrepreneurship/. Monzón, José L., and Rafael Chaves. 2012. The Social Economy in the European Union (Report). Brussel: European Economic and Social Committee. Accessed February 15, 2017. www.eesc.europa.eu. Territorial Body of the Federal State Statistics Service in the Omsk Region. 2018. Gross Regional Product of the Omsk Region, May 7. Accessed June 8, 2018. http://omsk.gks.ru/wps/wcm/connect/rosstat_ts/omsk/ru/statistics/grp/. The Government of the Omsk Region. 2010. Atmospheric Air and Public Health. Electronic atlas. Accessed June 6, 2018. http://msh.omskportal.ru/ru/RegionalPublicAuthorities/executivelist/MSH/the_state_control/ecology/realisation_nature_protection_actions/the_electronic_atlas.html. The Government of the Omsk Region. 2018. Non-commercial Organizations of the Omsk Region. Accessed June 6, 2018. http://omskportal.ru/ru/government/society/society_topics/obshestv-obedenenija-omsk-obl.html. U.S. Bureau of Labor Statistics. 2014. The Economics Daily, October 21. Accessed June 6, 2018. https://www.bls.gov/opub/ted/2014/ted_20141021.htm.